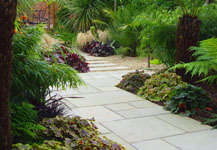 The Creative Landscape Co was the winning contractor in the over £50,000 category and the supreme winner of the 2008 Association of Professional Landscape (APL) Awards. 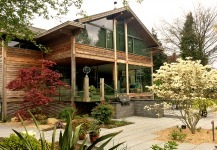 Their work followed a brief to successfully connect a new Buckinghamshire home with its surrounding landscapes, linking the modern architecture with the existing rural wooded area. 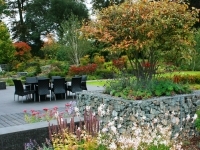 Andy Sturgeon's design team of garden designers put forward a scheme that echoed the Huf Haus architecture, creating strong, minimal and angular but usable spaces that extend the interior rooms out into the gardens. 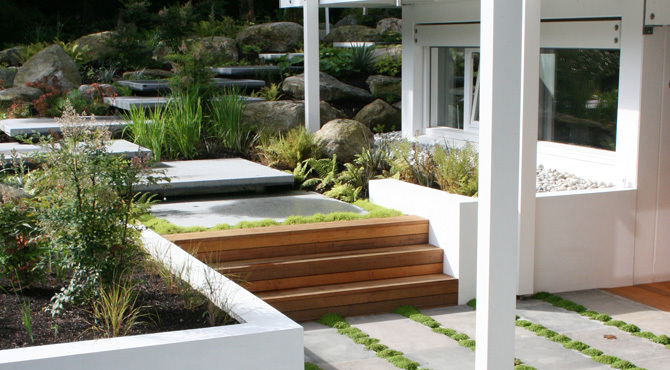 Beyond these formal areas, the shapes employed become more organic and naturalistic, giving the effect of inviting the surrounding landscape back into the house. The judges considered this "an outstanding and well executed project", and were impressed by the overall standard of entries. The chairman of the judging panel, James Steele-Saergent, said, "I was very pleased to see the high standard of work entered, especially by some of the newer members. I'm sure their success will encourage even more members to enter next year." "There was a very high standard of submission this year, which was good to see and made the task of judging more challenging which has to be a good thing. The winners are well deserving of their achievements and hopefully will inspire others to follow suit and we can look forward to raising the standard yet further."